As IT Managers and CIOs cut their IT budgets in response to the growing economic pressures, they are also pressured to invest in emerging technologies that can help their company or organization secure greater cost efficiencies and competitive advantages to enable higher business growth. Organizations today have to continuously strive to control costs better in order to increase their operational efficiency due to the intense competition from new entrants, making a grab at their existing market share. It is hoped that by keeping costs in control through a budget, funds for investing in new technologies and applications can be secured helping organizations compete more effectively with their rivals. However, calculating costs for determining an IT budget can be more difficult than it seems. IT managers and executives in particular, are required to implement various technologies and tools, the value of which depreciates drastically over time. In other cases, there are many cost-efficiencies that organizations benefit as a result of an effective transition to or implementation of a technology, cloud computing services being one example. 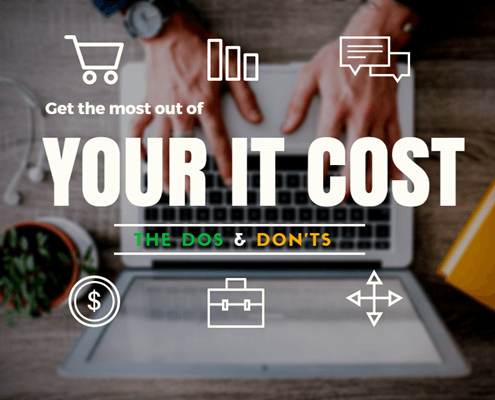 Therefore, pinpointing the exact cost of each component or tool can be very challenging, limiting the extent to which an IT budget can prove useful in keeping costs under a strict watch. Today, we intend to address this challenge, going into how firms can get the most out of their IT costs along with the dos and don’ts that have to be taken into account. 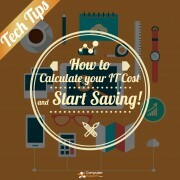 It is essential that IT executives look at costs on a monthly basis and not on an annual one when creating a budget. Include monthly charges such as internet subscription charges, IT support charges, and cloud services charges. However, before you set your monthly charges, you need to take many considerations into account to ensure that all costs are allocated properly. These include analyzing your budget of previous years or months and detect the spending pattern, how many of those budget were successful in keeping costs low, and more importantly, what sudden or unexpected costs resurfaced that had to be paid for immediately or in the longer term. 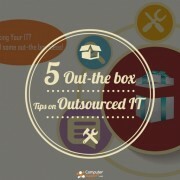 Next up is defining the scope of your IT budget, arguably the most important factor. Should IT personnel training be included in the IT budget or the HR budget? What are the boundaries between the IT and other departments such as marketing and finance? This will help to identify your costs a lot more clearly. Moreover, your hardware and software costs also need to be calculated after careful evaluation. 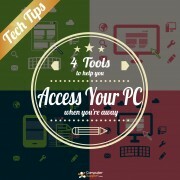 It is important to determine how much exactly it costs to maintain hardware devices such as PCs, laptops, printers, etc. Keeping a sufficient portion of maintenance charges in your budget is vital for your hardware to continue working smoothly in the long run. 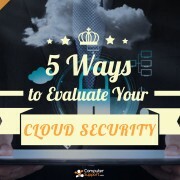 Software costs such as software applications, security programs, and the like also need to be considered. Analyze past records to determine the monthly cost you’re paying for services. 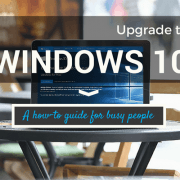 It is also important for you to set aside a sufficient amount for hardware and software upgrades, whether it is replacing corrupted servers, upgrading outdated programs and computers. 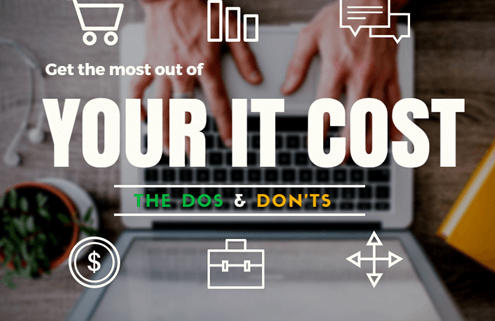 In addition to the above methods of calculating costs, there is also a set of dos and don’ts to help you ensure your IT budget is effective in furthering your organizational goals and objectives. Many a times, the overall corporate strategy can be decided without consulting the CIO. It is no doubt that technology is playing an ever more important role in helping businesses propel themselves to greater profits and market share. However, IT budgets need to be a reflection of the overall corporate strategy and not just a tool to lower costs which will only hamper the organization’s efforts. It is important for the CIO or the IT executive to discuss the implications of the corporate strategy on the IT process and ways to improve it. Technology is playing a more important role in helping businesses propel to greater profits and market share. It is also critical that budgets need not be complicated. Setting too many targets can be daunting for employees and may even be demotivating for them. It is highly important that past IT performance be used as a guide to determine what the most critical aspects that need working are. It can be difficult for the CIO to stay informed of every latest technology or service model. Employees, therefore, are required to fill the gap and keep in touch with the latest outsourcing models, suppliers, subscription models and so on in an effort to cut costs. CIOs need to always review and assess the quality of their suppliers. Attempts need to be made to determine which suppliers are offering cheaper services. CIOs can further categorize IT requirements into essential and non-essential areas. For the former, high quality needs to be emphasized and the resulting cost efficiencies highlighted. In the latter, on the other hand, the cheapest alternatives need to be sought out to keep costs low. Software plus services can provide immense IT cost savings for using common software applications such as word processing, spreadsheets, and email. Companies spend hefty amounts in buying individual software applications and then upgrading them. 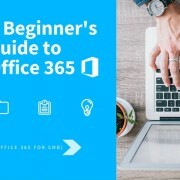 With software plus services packages such as Microsoft Office 365, a significant proportion of IT costs can be reduced. 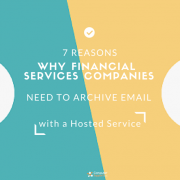 Company executives can also convince CEOs to digitize most or all of their paper records. The more paper you have, the more you have to account for maintenance and depreciation of hardware such as printers and other devices. Having a paperless company can not only help you be more environment-friendly, but also help streamline processes and increase efficiency.